Our goal is total customer satisfaction. If your unique application requires a specialized antenna, not listed in this catalog, our engineers will help you develop a solution. In addition, the form and function of any catalog antenna can be modified in any manner that best fits your needs. A variety of paint options are available to fulfill your coating requirements. Federal Standard 595B colors, Chemical Agent Resistant Coating (CARC) or spot color schemes are available. Contact a TMC Design representative to specify coating options. All TMC Design antennas can be modified to include an RF connector that best fits your application. Be sure to specify the connector that is needed or ask one of our representatives for assistance in finding an RF mating solution that will best fit your requirements. Antennas can be modified to be mounted in the manner that best fits your requirements. Magnetic mounts are recommended for applications involving automobiles. A tripod will best fit situations where quick-setup and temporary emplacement is necessary. 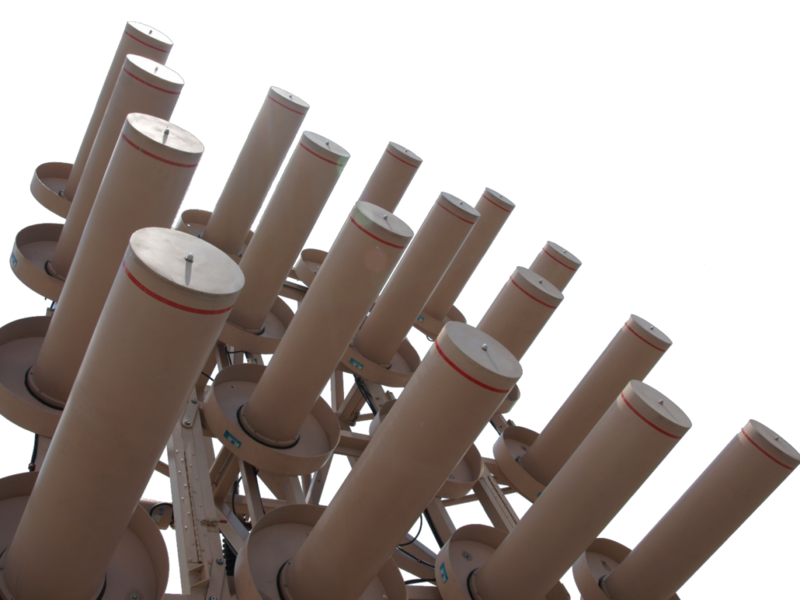 Other options include antenna towers, and solar-powered mount systems for remote operation. Contact a TMC Design representative for assistance in choosing the best mounting option. 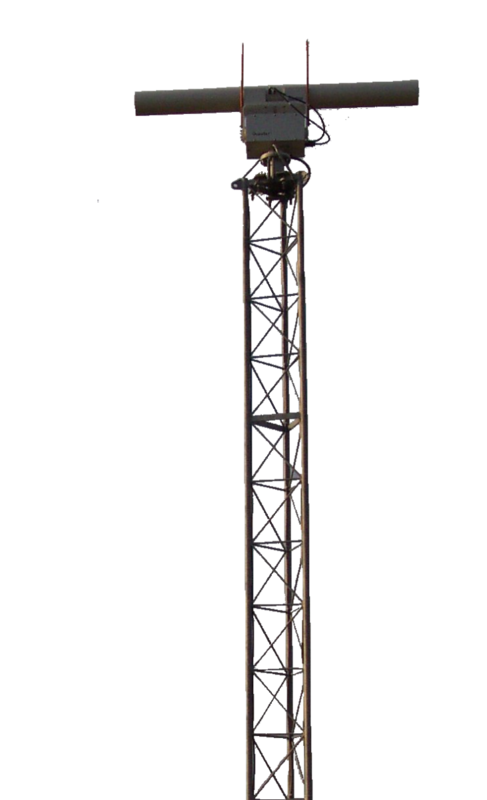 Where it does not impede on the antenna’s function, all antennas are designed to operate under rigorous conditions and environments whenever possible. We are an AS9100 certified company. All antennas are designed and manufactured under with the auspices of our certified aerospace quality management program. All antennas are guaranteed for 1 year after delivery. To increase range and improve reception, most TMC Design antennas can be modified to operate in high-power applications. The Red Yak system was developed to emulate a foreign threat to serve as a training aid for the SATCOM community. 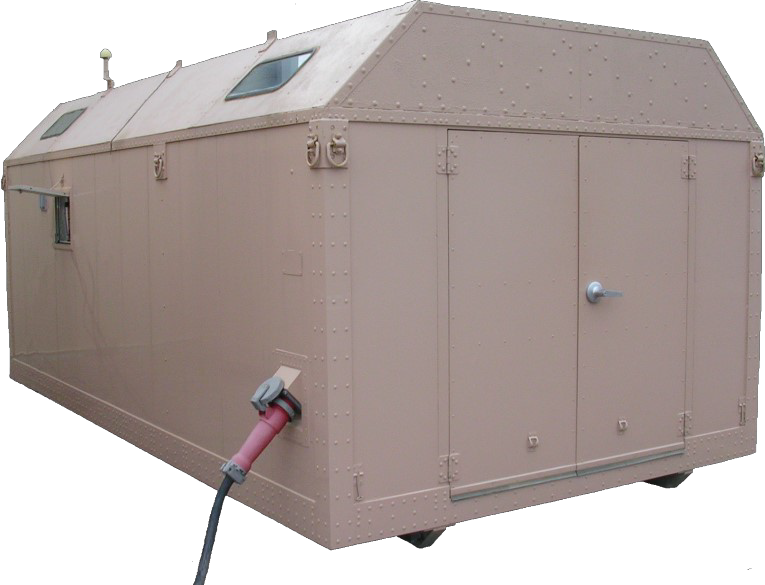 The Red Yak system utilizes two (transmit/receive) antenna trailers, bearing a 4×4 HE-1000 antenna array, and two semi-transportable command shelters. The Telemetry Spigot Multi-Phase Solid-State Array (shown to the right) is a unique receive-only antenna array that allowed operators simultaneous reception of up to three (3) geo-synchronous satellites within ± 45 degrees Azimuth and ± 2 degrees Elevation of each other. 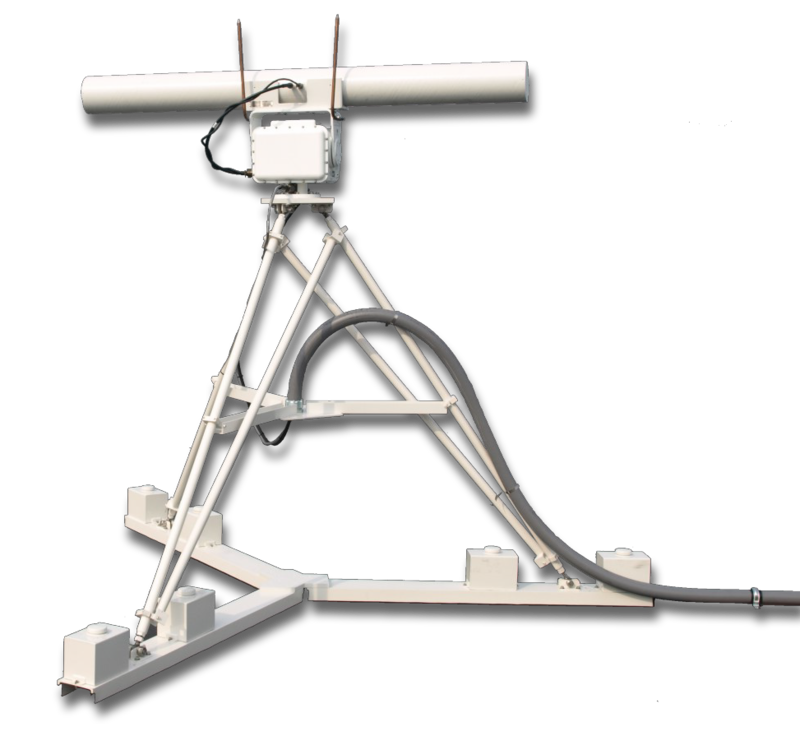 Anticipating heavy wind conditions at the customer’s installation site, the antenna system was designed with an adjustable wide-leg tripod base. The tripod can be adjusted in Azimuth and Elevation (15°) directions after the system is setup. Multiple systems have been procured by the US Air Force and are currently operating at eight of their facilities all over the world. Many of the systems that were deployed were uniquely designed to cope with the environments and circumstances of their installation sites such as outdoor operation, wind resistance, waterproofing and sub-zero operation. Systems included a slotted wave guide antenna mounted on a 360 rotating pedestal mount and an equipment rack with telemetric hardware.